Stir your child's imagination with the promise of swash buckling adventures and fun at sea aboard menacing Pirate Ships....Arrrrrr! 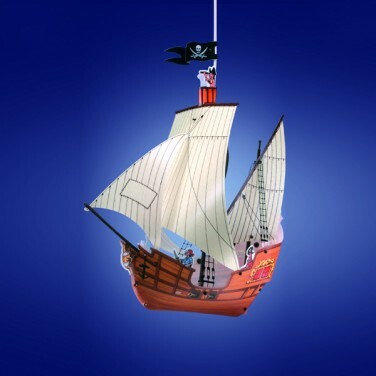 This decorative Pirate Ship Pendant Light Shade is great fun and ideal for making bedrooms or play rooms a little bit more interesting. Each large lamp shade is made out of tough, lightweight plastic sheets that come part assembled to save you time, just position the front sail and mainsail and your ship light shade is assembled.